If you’re a writer, you know how difficult it is to land an agent. And even with an agent, it’s difficult to sell your books! I’m at The Writers Alley today sharing my experience. Yes, I signed with my agent after cold querying her. And, yes, I sold my debut novel, Small-Town Bachelor which officially releases tomorrow, through a pitch contest. Stop by The Writers Alley to learn more!! Congratulations, Laurie T., on your blessed new baby!! Woo-hoo!! Have you entered a writing contest or queried an agent you’ve never met? Tell me about it! Today is the LAST day to enter my Gift Package Giveaway for Small-Town Bachelor!! Click on my HOME page (linked) and scroll down for the easy entry options! 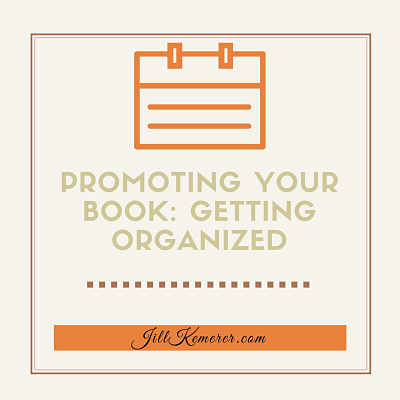 My blog tour kicked off last week, and this week I’m hanging out at seven blogs! Pinching myself!! And prolific Christian romance writer, Margaret Daley, interviewed Claire from Small-Town Bachelor in a two-part blog! Look for the actual interview on Wednesday! Tomorrow I’ll be at The Writers Alley! Stop by tomorrow morning for the link! I lost track of time yesterday. I was reading my work-in-progress, taking notes on how to revise it based on the new direction it’s taking, and the day ran away. It just trotted right away from me! Figuring out major revisions is always daunting, but I made it through. Phew! This was my breakfast on Sunday. 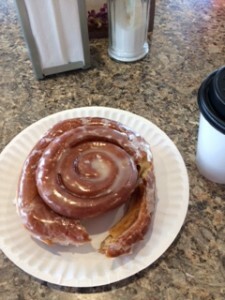 The donut was actually BIGGER than it appears, if that’s possible. The thing was ginormous. And delicious. 🙂 I really love baked goods. It’s raining today. Gray sky. Sophie didn’t want to go out this morning. She shivered on the porch, staring up at me with the most pathetic eyes. I wanted to tell her I’m not a mean lady, but I kind of am! Poor little dog. Who wants to be out in this yucky weather? In important news, I got highlights in my hair last week. Much brighter! Don’t you love getting your hair freshened up? The Easter candy in stores has been tempting me, but I haven’t bought any. I have a feeling Cadbury Mini-Eggs will be coming home soon, though. They are the best. Tell me your random March stuff! I love hearing what’s going on in your life! Remember, the Gift Package Giveaway for Small-Town Bachelor is still going on. Go to my HOME page and scroll down for the easy entry options!! Welcome to another edition of Writer’s Life, my interview series with inspirational romance authors. Today I have the pleasure of hosting Annette M. Irby. Annette and I met during a pitch session at the ACFW conference a few years ago. She and I hit it right off! She has a warm smile to match her big heart, and I LOVE the title of her new release. 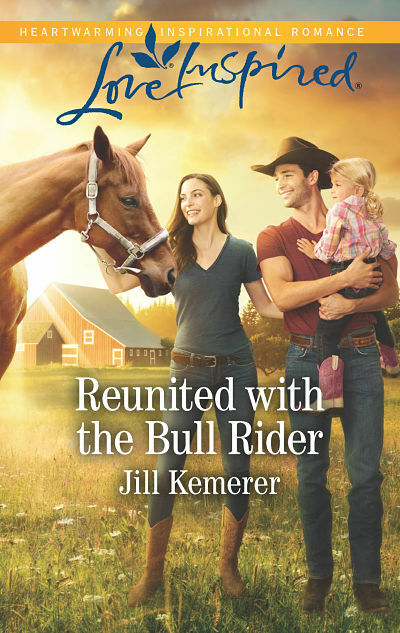 Her Nerdy Cowboy is available now, and readers can download a FREE copy through Lent!! Details below. You know that question about whether a person prefers to live near (or have views of) mountains or water? I’m a water person, all the way, especially saltwater. So when I get a chance, I find a beach. There’s something healing, inspiring, restoring about the smell of the ocean, the roar of the waves, the give of the sand, and sight of all that blue under sunny skies. Love that! When I can’t get away, I garden. I’m a nature person, and color feeds my spirit. I’m working on book one of a trilogy for my agent. It’s set on the water. (Surprise!) I enjoy how I can write inspirational fiction (my calling) set near water (my passion). What a gift! Meanwhile, doing the research I learn more about the sea, which is just fun. I’m nerdy like that. This trilogy will center on different saltwater locales. 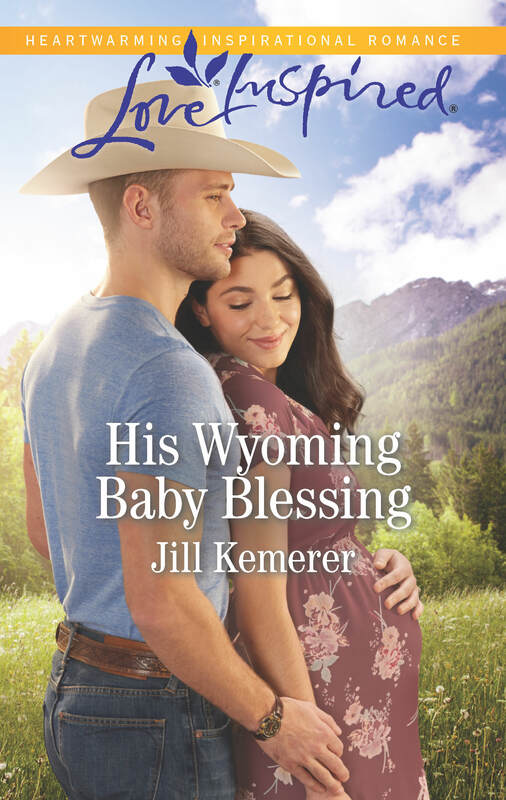 And I’m sticking with inspirational romance, like Her Nerdy Cowboy. I may publish in women’s fiction one day too. Annette, I agree. The rush of pouring my best into a book is such an amazing feeling! But when it’s not working? The worst! I love nature, too, and I fantasize about the beach often. The white sands of Lake Michigan always call me. So peaceful! Thanks so much for being my guest! Whoever heard of a bookish cowboy? 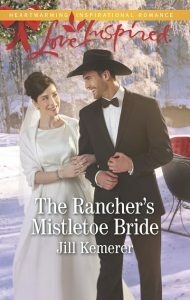 When Logan McDaniel’s brother-in-law dies, he steps in to help his beloved sister run her ranch. But what does a city boy know of herding cattle? Claire Langley loved her cousin. After he dies, she agrees to serve as a temporary nanny for two heartbroken children. 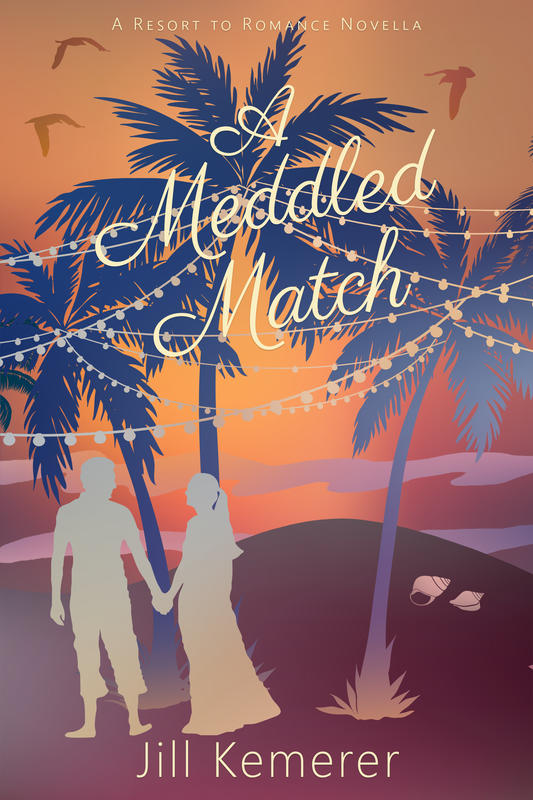 Claire and Logan find they share a love of books, and Claire can’t resist the nerdy uncle who is great with children and who reads to her of pirate romance, but Claire’s ailing mother needs her in Seattle. Can she break away? And if she does, can there ever be a future for Logan and her? 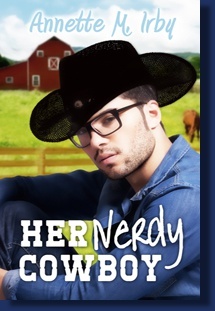 BONUS: Readers can download Her Nerdy Cowboy for free through Lent at PELICAN GROUP (linked). Her Nerdy Cowboy is also available for purchase at AMAZON (linked). 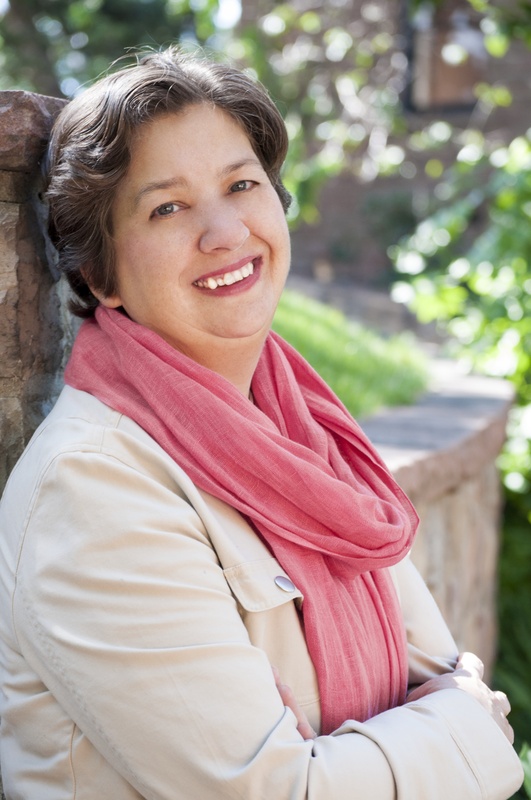 Annette M. Irby loves reading, and she has enjoyed weaving stories since childhood. If she’s not writing, she’s reading for review, or editing. She is a freelance editor at AMI Editing. Together with several fellow writers, she co-hosts the popular blog, Seriously Write, where the team provides daily encouragement and tips for writers. Married twenty-three years, she lives with her husband and three children. Learn more at her website www.AnnetteMIrby.com and follow Annette on Twitter (@annettemirby). Are you a fan of cowboys? I am! Don’t forget, all month I’m hosting a Gift Package Giveaway for Small-Town Bachelor! Go to my HOME page and scroll down for the easy entry options!! You know when you fall in love with a setting and characters and just want to read more about them? Well, I’m so blessed! I sold the third book in the Lake Endwell series! The working title is CLAIMING HIS HEART, and it will release in early 2016 through Harlequin Love Inspired. Writing about the Sheffields and Lake Endwell makes me happy. Sometimes I forget the town and family aren’t real! 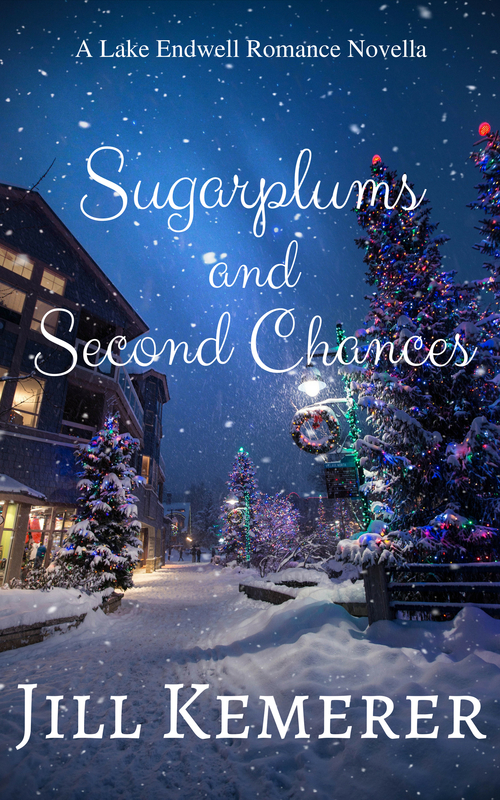 This book will follow Bryan Sheffield’s journey as he fights his feelings for the new girl in town. In unrelated news, I was challenged by the fabulous Beth Vogt to take the 7 Day Bible Challenge. Here is the picture I posted on Facebook yesterday. 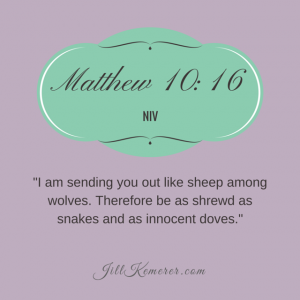 You’ll have to pop over to Facebook to see today’s Bible passage! 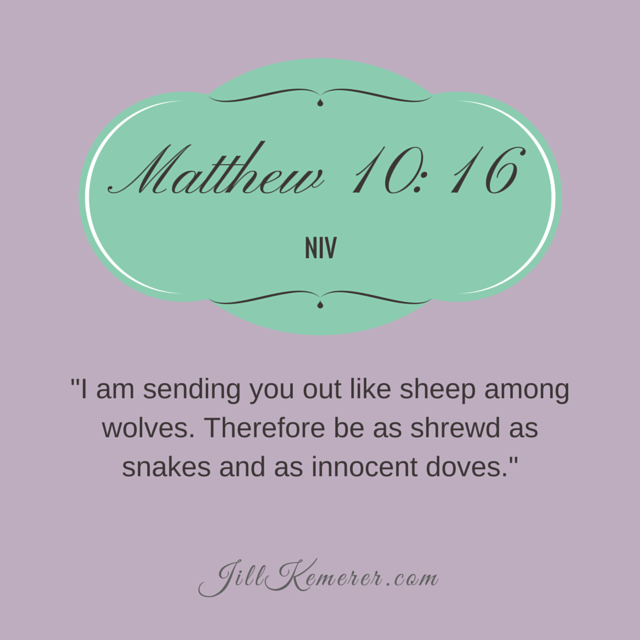 Maybe it will inspire YOU to take the 7 Day Bible Challenge too! It’s finally feeling like spring around here. 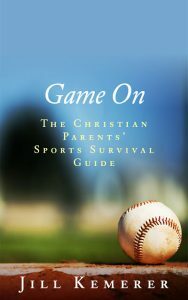 My daughter is busy with track practices, and my son’s baseball will be in full swing soon. It will be a while before we see any spring flowers, but I’m glad to see the snow melting. There is still time to enter my Gift Package Giveaway to celebrate the release of SMALL-TOWN BACHELOR. Go to my HOME page and scroll down for the easy entry options! Welcome to another edition of Writer’s Life, my interview series with authors of Christian or sweet romance. Today I’m excited to host Olivia Newport! I first “met” Olivia online, so I was delighted to meet her in person at the ACFW conference two years ago. What a treat! She has a smile that makes you feel right at home, and her intelligence makes for a fun conversation. 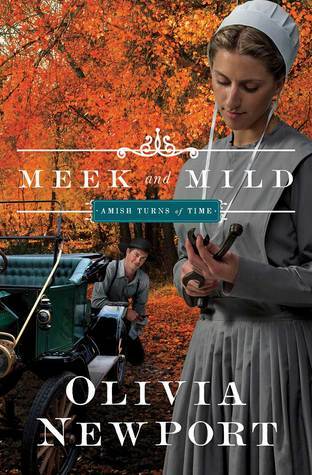 Her new book, Meek and Mild, is a historical romance set amid a real Amish community in 1918. More information is below. As long as we’re being metaphorical, I’d have to say writing makes my heart sing because each story has its own set of harmonies. I’m not always sure if the harmonies exist and I simply discover them, or if I actually create them. Maybe I need to ask a true musical composer how that works! Either way, I enjoy hearing how the moving parts become complex and invite me into their midst. Writing is like cranking up the stereo and standing in the middle of four speakers. Balance. I’ve been writing fairly intensely since my first book came out in 2012, and I sometimes get too ambitious about what I can accomplish in what period of time and still have a life. As much as I enjoy writing, I don’t want to wake up in 10 years and feel like I missed my own life. Happily, I’m getting better at keeping real life in balance with my writing life. That’s one of those many, many questions to which “Netflix” is an appropriate answer. (We’re being honest here, right?) A good field trip really helps—visiting a place that sparks a story or takes me into a time or place that tickles my imagination. Generally, when I’m out of creative gas on a particular project, it helps to just do something completely different—exercise, laughter, a favorite meal, worship. These things bring me back to balance, and that restores creativity. I’m delighted that the late summer will bring the third book in the Amish Turns of Time series, Brightest and Best. Set in Ohio, this story will look at another turning point in Amish history—what were the circumstances that led to the Amish having their own private schools? It wasn’t always that way. I think readers will see something we take for granted from a fresh angle. I love this, “writing is like cranking up the stereo and standing in the middle of four speakers.” I’ve never thought of it that way, but it’s true! Balance is not easy. I have too many days where I forget to take a break. Hello, glazed eyes! Yikes. And, yes, Netflix counts! I borrowed several movies from our library last month. Just what I needed. Thank you so much for being my guest today, Olivia! 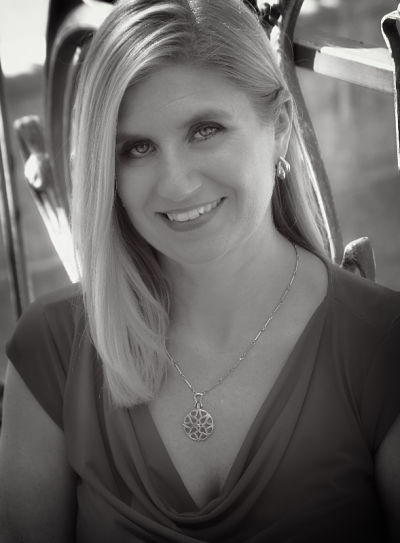 Olivia Newport writes historical (Avenue of Dreams series), contemporary (Hidden Falls, a 13-episode series available in digital formats), and Amish (Valley of Choice series and the new Amish Turns of Time series). Meek and Mild is her latest book. Married with two adult children, she chases joy in Colorado where daylilies grow as tall as she is. Find out more at www.olivianewport.com. I love novels that blend true historical events. What book are you reading? Remember, all month I’m hosting a giveaway of a Small-Town Bachelor Gift Package! Go to my HOME page and scroll down for the easy entry options!! I’m always looking for a better, faster and cheaper way to do things. 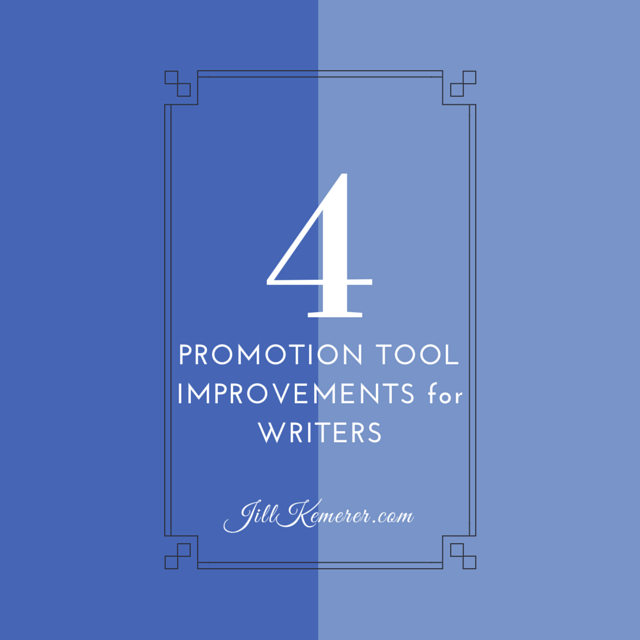 The last four years have seen huge improvements in tools authors use to promote their books. Three years ago I ordered my first business cards. First, I browsed Vistaprint’s site. None of their templates could be customized the way I wanted, so I designed my own using free software, and then uploaded it to the print site. Let’s just say it took a while! The other night I decided to order new business cards, and I was pleasantly surprised to see all of the customizable templates Vistaprint now offers. What took me hours in the past took minutes this time around. When I designed my first website seven years ago, I wanted a pretty header that reflected my brand. I quickly learned it would be time consuming and difficult to do it myself. I didn’t own Photoshop, and the free software I found had a steep learning curve. Now just about anyone can create free or inexpensive graphics for their blogs and websites with graphic design software such as PicMonkey or Canva. With the popularity of Instagram and Pinterest, it’s vital to have visually appealing graphics. Sites such as Rafflecopter, Giveaway Tools and PromoSimple make hosting a giveaway easy, AND they do the hard work for the author. In less than ten minutes, you can create a giveaway and set the guidelines for entries. If you’re trying to get more Facebook likes on your page, make it an entry option. Same for Twitter, Pinterest, subscribing to your blog, and more. These sites will collect your entries and randomly pick a winner when the contest ends. Perfect! Social media sharing has been around for a long time, but many of the top sites offer improved visual widgets to include on your site. I love that! 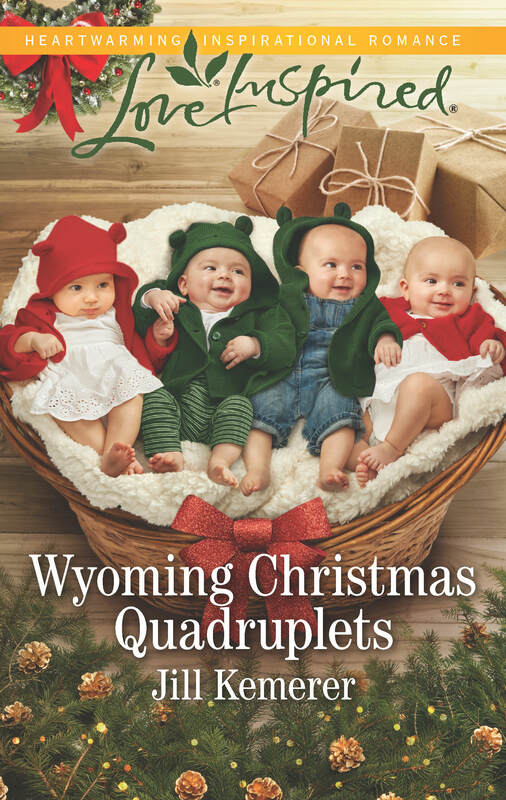 Goodreads allows authors to share a variety of widgets, from giveaways (see mine in the sidebar–I’m giving away four copies of Small-Town Bachelor this month!) to your available books. Pinterest has widgets to show a collage of one of your boards. Examples are on my For Readers page. Twitter has widgets to show your latest tweets. Facebook shows your fans. All of these things make it that much easier for readers to follow you. I’m VERY grateful for all the free, simple software out there. It saves me time and money, and I don’t have a nagging worry that my online presence isn’t professional. What online tools are you loving right now?